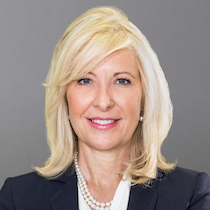 Ms. Lara J. Warner has been the Chief Compliance and Regulatory Affairs Officer at Credit Suisse Group AG and Credit Suisse AG since 2015 and also has been its Member of the Executive Board since October 21, 2015. Ms. Warner served as Managing Director of Credit Suisse AG and Credit Suisse Group AG and also served as its Interim Chief Financial Officer of Investment Banking Division from June 2010 to 2015, Chief Operating Officer of Investment Banking Division from 2013 to 2015 and Head of U.S. Equity Research. She served as the Global Head of Fixed Income and Economic Research, Head of Global Bond Research at Credit Suisse AG and also served as its Head of Finance for The Investment-Banking Division from June 2010 to 2015. She joined Credit Suisse in 2002 as a Telecom Research Analyst and served various positions that include, Head of Global Fixed Income Research from 2009 to 2010, Head of US Equity Research from 2004 to 2009 and Senior Equity Research Analyst from 2002 to 2004. She is Chair of the Women's Leadership Board of Harvard University's John F. Kennedy School of Government. She is a Co-Chair of the Credit Suisse Americas Women's Network and on the Operating Committee of the Credit Suisse Research Institute. She has been Director at The Depository Trust & Clearing Corporation since April 07, 2017. Ms. Warner serves as a Board Member of the Aspen Institute’s Business and Society Program and Member of the Board of Visitors of Smeal College, Pennsylvania State University. Ms. Warner received a B.S. from Pennsylvania State University in 1988.